Putin is the 'Mr. Burns' of the World. And Trump is Ralph Wiggum. 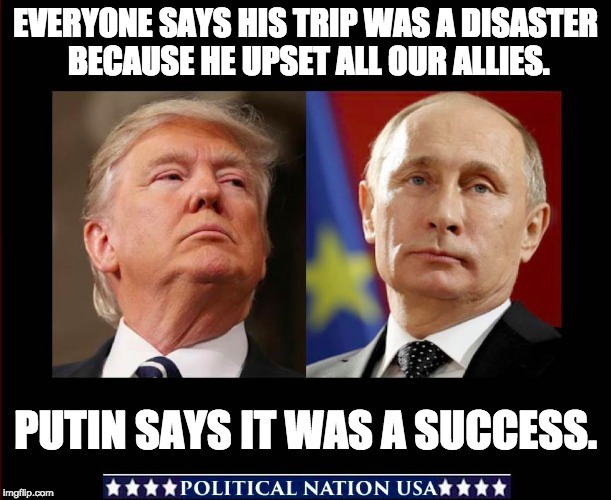 EVERYONE SAYS HIS TRIP WAS A DISASTER BECAUSE HE UPSET ALL OUR ALLIES. PUTIN SAYS IT WAS A SUCCESS.